City Teller: Explore cultural richness of Toronto by visiting different local neighbourhoods, and joining historical activities and festivals in promoting appreciation of the city’s multicultural diversity. City Warmer: Serving opportunities and philanthropy targeting needs within the GTA – the program partners with non-profit organizations to allow youth to take action in response to current issues. Tomorrow Starts Today: Interactive activities inspiring environmental awareness, with topics including current environmental issues, facilitating for a healthier planet, community connections to become a green leader. To bring awareness about children in desperate situations and poor living conditions around the globe, we fill shoeboxes with DIY GIFTS hygiene items, school supplies, and toys. Join our shoebox packing party to show LOVE and CARE to the children of the world! Toronto is a culture of cultures. It is one of the most diverse cities in the world. By unfolding the different layers of our cultures, we become aware of our diversity, sparks us to make connections, and makes Toronto a rich and colorful tapestry. Take action together to help prevent the spread of invasive plants in Ontario. The Rouge Park is considered the first urban national park in Canada. Become a park ranger to help remove invasive plants for newly developing trail at our very own Rough Park! Organized by “Project 417”, the Sandwich Run program is a first contact point with street-involved and homeless people. It is an opportunity to build bridges with the street community and serve those who call the street “home”. Join us to make sandwiches, deliver bag lunches with friendly smiles, and listen to their stories. Every November and December, gift-filled shoeboxes packed in Ontario will be delivered to the central processing centre in Kitchener/Waterloo, and ready to be shipped to children who are living in harsh situations in underdeveloped countries. 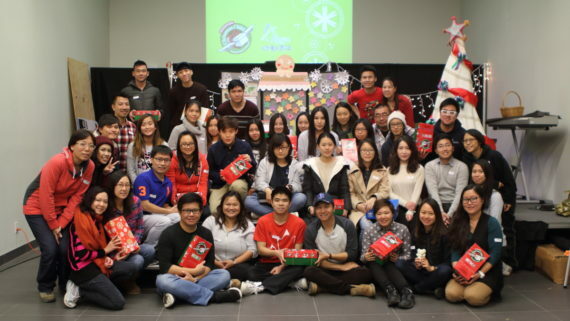 In Part I of the program, youth would prepare shoebox gifts for the children; In Part II of the program, youth would help inspect, sort and process shoebox gift at the Samaritan’s Purse Processing Centre. Youth explored the Gerrard India Bazaar and authentic Indian / Pakistan food in the Little India neighbourhood. Participants use their five senses (especially taste buds!) to experience the cultural diversity of Toronto. Across U-hub will be turned into a collection hub to collect your electronic products and used clothing for recycling and reuse. The event is being held in cooperation with RecycleYourElectronics.ca — Ontario’s electronic waste diversion program, operated by Ontario Electronic Stewardship (OES). OES makes it easier for Ontarians to safely recycle their electronic waste and keep it out of landfill. There are 44 electronic items are accepted at hundreds of OES-approved collection sites across the province, including sites in GTA. For the full list, go to www.recycleyourelectronics.ca. Across U-hub also works with Earth Day Canada to create a <2015 Earth Flag> on which we will collect signatures at the drive from people who drop off their electronics and clothing to make commitment on reducing carbon emissions daily. The 2015 Earth Flag will be taken to a conference in Paris this December where a new international agreement on carbon emissions will be signed. Across U-hub is hosting a candlelight dinner for everyone during Earth Hour. However, as they are preparing for the feast, one very important ingredient has gone missing. What could have happened to this ingredient? Can they find it in time to complete the spread? Come join us for our Earth Hour dinner and solve the mystery of the missing ingredient. Between September 24th and November 9th, Dr. David Suzuki and the Blue Dot Tour will visit 20 communities from Newfoundland to B.C. The Tour is the celebration of a simple yet powerful idea: that all Canadians should have the right to drink clean water, breathe fresh air and eat healthy food. Across U-hub will partner with the David Suzuki Foundation and be part of David Suzuki’s Blue Dot Tour on October 2, 2014 by recycling and upcycling few thousands used disposable cups into an art installation. Join us to build this art installation that will be displayed at the Blue Dot Tour Markham event at Richmond Hill Centre for the Performing Arts to raise environmental awareness in the community. Rouge National Urban Park is currently the largest near-urban park in North America, at over 40km2. It is located in York and Durham Regions and City of Toronto from Lake Ontario to 16th Avenue. Across U-hub is now recruiting volunteers to develop Canada’s first national urban park to maintain and improve the park’s ecological health, with the goal of increasing the availability, quality and connectivity of habitats across the park’ landscapes and inspiring, educating and engaging Canadians. Become a park ranger to our very own Rouge Park!! 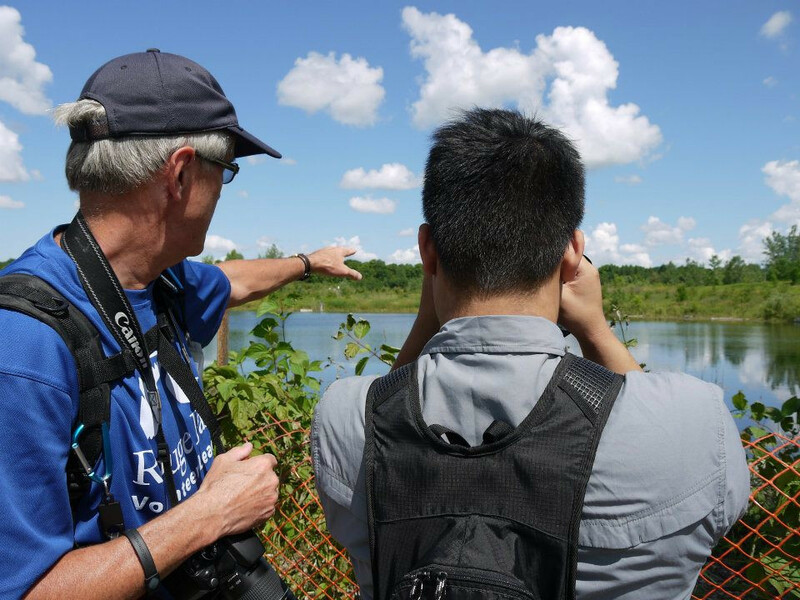 This is an overnight camping trip at Rouge Park – the first urban National Park in Canada – to help youths create stronger connection and appreciation with the authentic nature by spending 24 hours in the wilderness. The trip will be filled with camping knowledge and activities including tent setup, cooking in wilderness, hiking, campfire, story-telling, sharing under the stars and more. Each year in November and December, all gift-filled shoebox packed in Ontario will be delivered to the central processing centre in Kitchener/Waterloo, and get ready to ship to children who are living in harsh situations in underdeveloped countries. Part I of the program youth prepare shoebox gifts for the children; Part II of the program youth help inspecting, sorting and processing shoebox gift at Samaritan’s Purse Processing Centre. In partnership with OtherHalf: Chinese Stem Cell Initiative, the one-day event hosted by youth that enlists new registrants into the Canadian stem cell registry at Splendid China Mall. Explore the Gerrard India Bazaar and authentic Indian / Pakistan food in the little India neighbourhood. Participants use their five senses (especially taste buds!) to experience the cultural diversity of Toronto. Participants experience authentic Chinese New Year traditions and its custom through cooking activities, calligraphy, story-telling and group activities during Spring Festival. Annual tree-planting program organized by the City of Toronto. Participants practice social responsibility, help double Toronto’s tree canopy and restore some of the city’s “un-treed” lands.